Now we all know about the horrible disgrace of an Android phone, they call the Motorola Backflip, which was AT&T’s foray into the Android world. Now it’s time for HTC to try and make things better, hopefully with the new HTC Liberty. Not a lot is known about the new Android handset, but we did get a few quick glimpses of it yesterday on AT&T’s official YouTube channel. 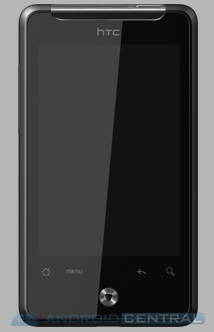 HTC Aria/Liberty/Intruder (all possible names) is on the small side, almost looks like the HTC Desire, but smaller. What we do know is that the handset has a QVGA 2.8-inch, 320 x 480 touchscreen. Slightly smaller than what we have been seeing lately for new Android devices. The Liberty won’t have a keyboard, but it will have the new optical trackball, that everyone loves. It has a 3.5mm headphone jack and a 5 megapixel camera, but this is all we know as of now. I would guess it’s going to have a 528MHz ARM processor, nothing more. One last thing we know, is the HTC Liberty will be running Android 2.1, with HTC’s Sense UI. It’s likely that this is going to be a inexpensive, low end, affordable Android device. Again I know this info isn’t to eventful, but this first real substantial news we have on the new Android handset. The video that briefly showcases the the HTC Liberty, is a cool video that shows a bit about AT&T’s Android testing procedures. They just happen to use the new Liberty as the example in the video. Now all we need is the official announcement from AT&T, which should come by the end of the month. If at&t does not step up soon I’m going to a company that has what I’m looking for from an android device!!!! Its cool that the next gen iphone is coming soon but, I love android. Needless to say they are lagging sadly behind in this technology seemingly because of the iphone or God only knows but I’ve been with them for around five plus years and it will be cut short soon if they don’t keep me happy! Next Entry: Microsoft Xbox's "Project Natal" Renamed "Kinect"